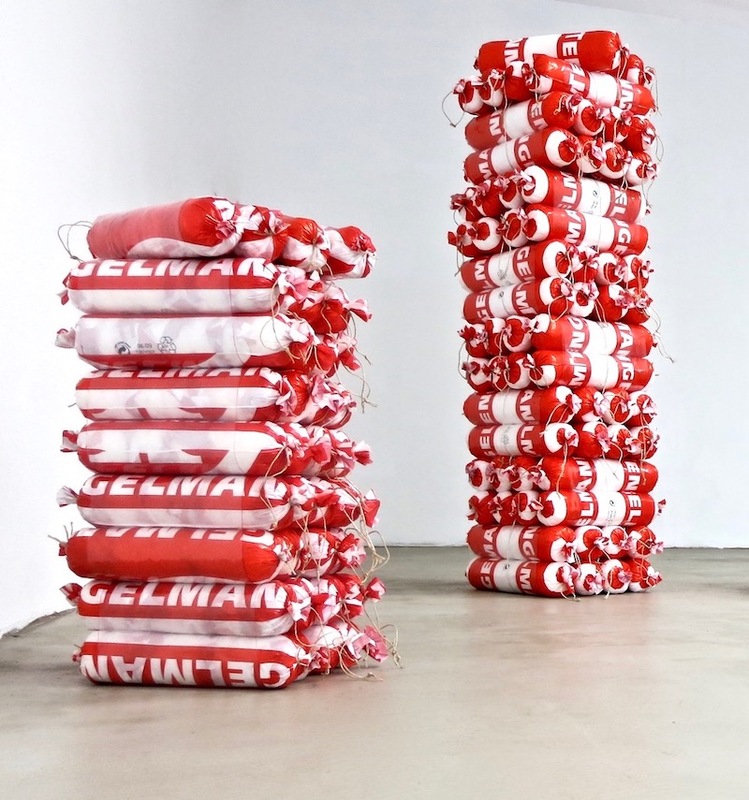 For more than 20 years Petra Scheibe Teplitz has been developing a wide-ranging practice involving performance, installation, collage and sculpture, with exhibitions that tackle visual icons and reconfigure them to be seen anew. Her series ‘Another day in paradise’, part of which was shown in 2014 in the exhibition ‘Es geht um die Wurst’ (a German idiom that loosely means “now or never” and translates literally to “it’s about the sausage”) at Frankfurt’s Galerie der Heussenstamm Stiftung, for example, deals with the titular staple of German food culture. For the performance Aktion mit Wurst (action with sausage, 2010), she filled her car’s trunk to the brim with oversized sausage links made from plastic shopping bags, the most external layer of which were from Tengelmann, a once-omnipresent German grocery store. Then she took a few of the fake sausages into the grocery store and put them in her cart, even as she placed an order at the meat counter. Back in the gallery space, her sausages both hung from butcher’s hooks and were stacked on the floor like Lincoln Logs. Born in Isernhagen, a small town outside of Hanover, Germany, and having lived in Frankfurt since 1993, the influence of German culture on Scheibe Teplitz’s work is clear. Yet she finds a unique perspective that allows others to also identify with the work, perhaps due in part to the fact that she studied in Joas Pessoa, Brazil, as well as Washington, DC. Other icons she has repurposed include a red cross and targets used by marksmen, each of which invoke their own dialogues. Next month at Paper Positions during Gallery Weekend Berlin, three of these target works will be on view with DavisKlemmGallery. 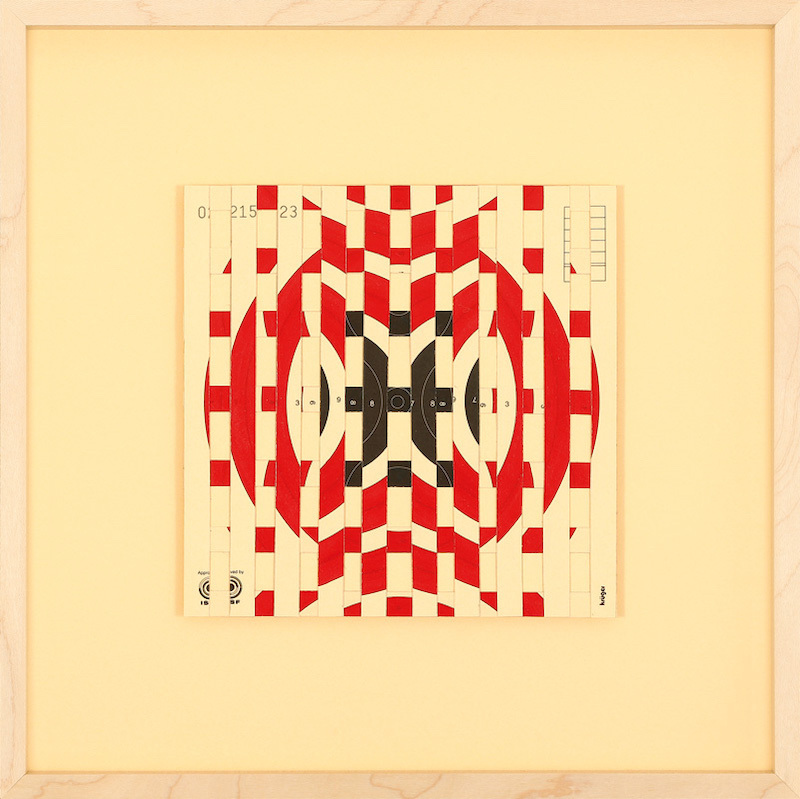 To create the pieces, which meld elements of pop art, constructivism and op art alike, she cuts target papers into strips and reassembles them in new patterns. 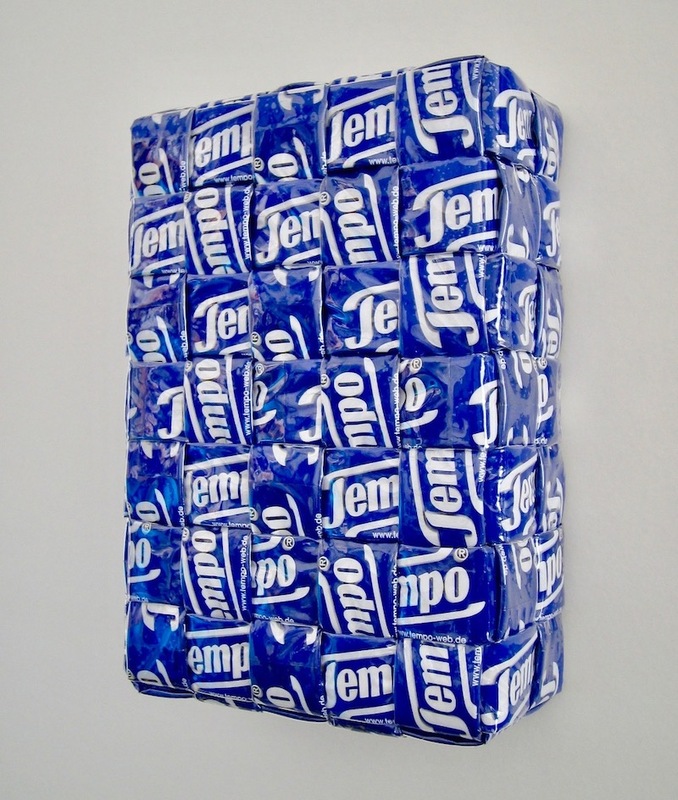 Also on view will be the work titled Tempo (2008),constructed from the plastic waste of the eponymous brand of pocket tissues—evoking notions of both Warhol’s Brillo Boxes as well as environmental destruction. 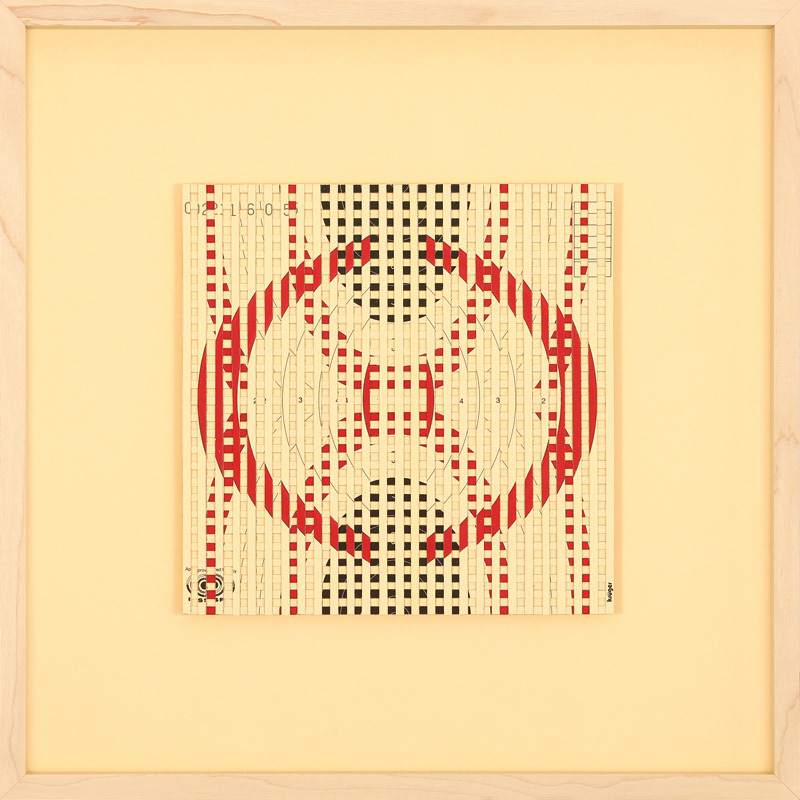 So when viewing Scheibe Teplitz’s work, take a close look because subversion permeates her oeuvre; nothing is only what it seems.